Iran’s military chief has warned it has long practice defensive military policy but could reverse it if tensions with rivals continue to rise. Major General Mohammad Bagheri, Chief of Staff of the Iranian Armed Forces, issued the sabre-rattling warning yesterday. He said Iran would switch to an offensive military approach if it sensed it was being threatened in any way. Mr Bagheri said: “Our defence strategy is to protect the independence, territorial integrity and national interests of our country. Mr Bagheri’s comments were followed today by another Irani official warning France it would not be compromising its missile policy. 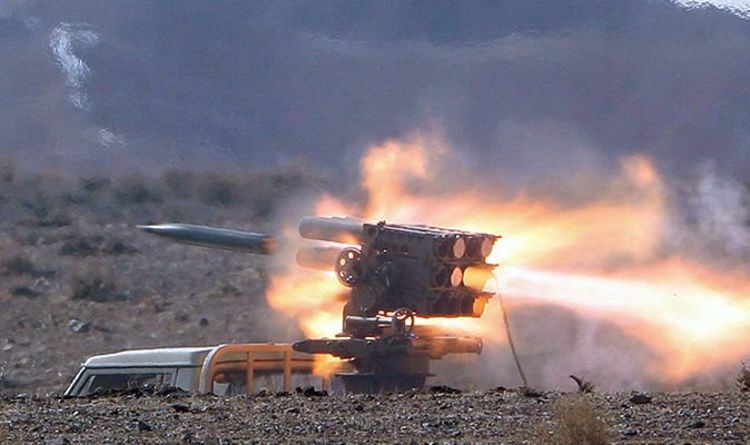 Iranian Foreign Ministry spokesman Bahram Qasemi said: “Our missile programme is a defensive programme that we only discuss it inside the country. “I cannot confirm holding any secret talks with France over our missile programme. "We talk about regional and political issues with France but our missile capability is not negotiable ... we have repeatedly said that during our political talks with France." A UN Security Council resolution, which enshrined Iran's 2015 nuclear deal with major powers in 2015, "called upon" Tehran to refrain for up to eight years from work on ballistic missiles designed to deliver nuclear weapons.